The Diploma of R.TCM.P Acupuncture and Herbal medicine is a 3-year (2615 hrs.) program that deeply explores theoretical and clinical concepts of Acupuncture and Herbal medicine. Graduates of the Diploma of Acupuncture or Herb program are eligible to be Registered Practitioners of Traditional Chinese Medicine (R.TCM.P.) in the province of British Columbia. 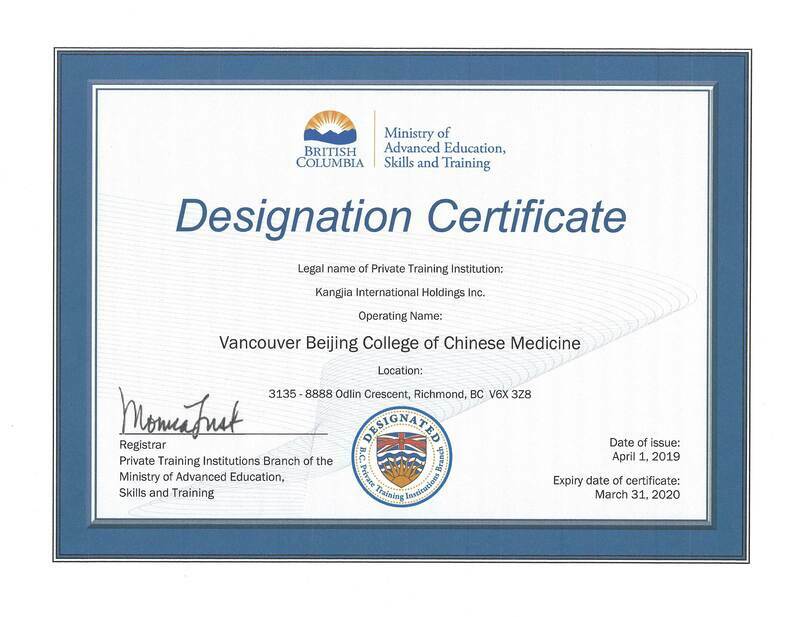 ​Graduates of the Diploma of R.TCM.P program are eligible to be Registered R.TCM .P in the province of British Columbia. Graduates must write a licensure exam in BC. They can practice as a R.TCM.P independently or employed by any TCM Clinic.